In the quest to find the next Best Firehouse Chili in America, The makers of Hormel® Chili hosted a live cook-off in New York as the finale event of their competition. 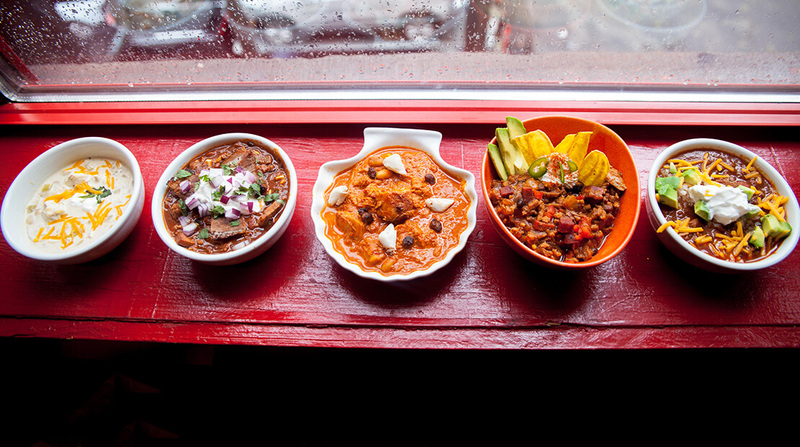 The finale brought together the top five chili recipes from this year’s submissions from around the country. Each of them was competing for the grand prize: $10,000 and a year’s supply of Hormel®️ Chili for their firehouse. The Makers of Hormel® Chili also honored the National Fallen Firefighter Foundation (NFFF) with a $20,000 donation. This year’s five finalists were as follows: Garrett Doucette from Upsala, Minnesota, with his Creamy Turkey Chili, Dan Rinaldi from Providence, Rhode Island, with his Blazin’ Blue Crab Chili, Eddy Dumire from Woodbridge, Virginia, with his Smoke Showin’ Chili, Milton Williams from Dallas, TX, with his Texas Cyclone Chili, and Alex Callegari from Miami, Florida, with his Miami-style Chili. Each of the finalists had to prepare a batch of chili and serve it up to three judges, who evaluated each for originality and creativity, flavor, and the story behind the recipe. One of the judges included celebrity judge, Jason George of ABC’s hit show Station 19. The judges’ final decision granted the win to Eddy Dumire, earning him and his team at the Dale City Volunteer Fire Department the grand prize.